The German government sees no reason to take seriously allegations of institutional racism in public agencies and the police force. Civil rights advocates are growing increasingly alarmed. Tagesspiegel reports. According to the German government, racism does not exist in German government agencies and state institutions. The cases encountered so far “do not provide a basis for the detection of a structural problem”, the government indicated in a response to a minor inquiry from the Left Party’s parliamentary group in the Bundestag. They all refer “to police measures which were subjectively viewed as unjustified”, the response reads. Because of those involved “in individual cases, the impression could wrongly” arise that they only caught the attention of police due to their skin colour or other physical characteristics, the government wrote. Germany has been accused of not adequately combatting racism multiple times by the UN’s commission on racism. When author and former Berlin Finance Senator Thilo Sarrazin was not taken to court for his comments against Berliners of Turkish and Arab origin, the United Nations criticised the lack of a German legal framework to prosecute racism. Most recently, the UN Committee on the Elimination of Racial Discrimination (CERD) issued a “concerned” statement. With regard to racist measures and behaviour beyond the NSU complex, the individuals concerned, as the government referred to them, are no longer only “subjectively” convinced that this discrimination exists. In multiple cases of racial profiling, courts have ruled in their favour. 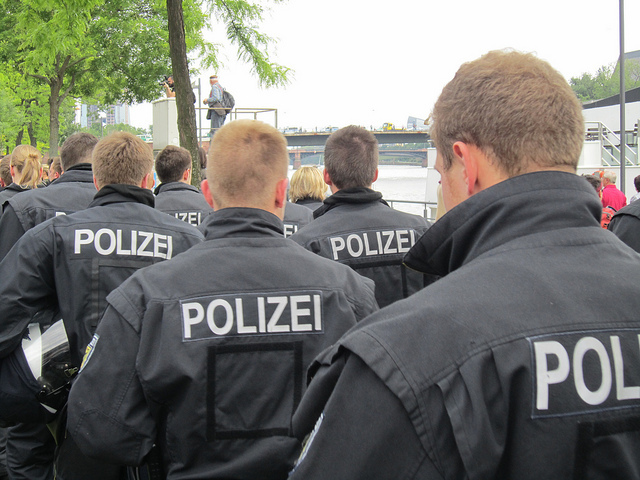 Germany’s Bundespolizei is currently defending itself against a ruling in favour of a dark-skinned couple from Mainz. Both of them were the only ones checked by police in a train. Such controls targeting physical features, not only by police but also other representatives of the state, constitute official discrimination against dark-skinned individuals in Germany. This situation recently came to light again in the case brought by the Frankfurt-based engineer Derege Wevelsiep, who sustained several blows during a ticket inspection. Social Democratic MP Karamba Diaby from the city of Halle was the first black individual to be elected to the German parliament. He recently spoke in the Bundestag about his experiences and the shame and resignation which often prevents those affected from pressing racial profiling charges. Meanwhil,e Left Party MP Sevim Dagdelen said it is “catastrophic that, in light of the growing wave of racist violence in Germany, the government is not prepared to seek ways to fight racism and institutional [racism]”. “Especially in the context of Germany’s history this is extremely dangerous,” Dagdelen warned. For months, a xenophobic movement labelled the “Patriotic Europeans against the Islamisation of the Occident” - 'Pegida' under its German acronym - demonstrated against supposed “foreign infiltration” of German society through Islam. The movement also campaigned against numerous other phenomena: against asylum applicants, against Germany’s and Europe’s Russia-policy and against the media.